Boxing used to be one of the most popular sports to bet on, but in recent years, its popularity has declined. Despite the recent decline in interest, boxing recently proved that it is still the biggest draw in town when it comes to betting, with the Floyd Mayweather vs Manny Pacquiao super fight. The fight broke a lot of records in terms of PPV buys, and generated over $500 million in revenue. The fight was also popular with sports bettors, who placed a lot of boxing bets at the casinos and more boxing bets online. This proves that boxing betting is still very popular, and the interest the public has in it depends on the fight. With boxing, there are so many divisions and belts, which means that there are plenty of opportunities to bet on boxing, which is something a lot of fight fans love to do, to make the fight even more interesting. Obviously, most people that would love betting on boxing can’t be in Las Vegas or other casinos to place their bets, so a lot of people are placing their boxing bets online. Online boxing betting is actually more popular than the traditional method, because it provides the bettor with an opportunity to research the fight better than they would if they were placing their bets at a casino. This is because they can find out all they need to know about the boxers that are fighting online. Some online sportsbooks, like BetPhoenix.ag, provide their clients with every tool they need to make smarter bets. They have expert analysis of every fight, they keep you informed about any news leading up to the fights, such as injuries sustained in training camp, and they have provided the best odds, which gives you an opportunity to make more money if you win. This is why more people are choosing online boxing betting. Boxers can be categorized into two main groups, which are technical fighters and brawlers. 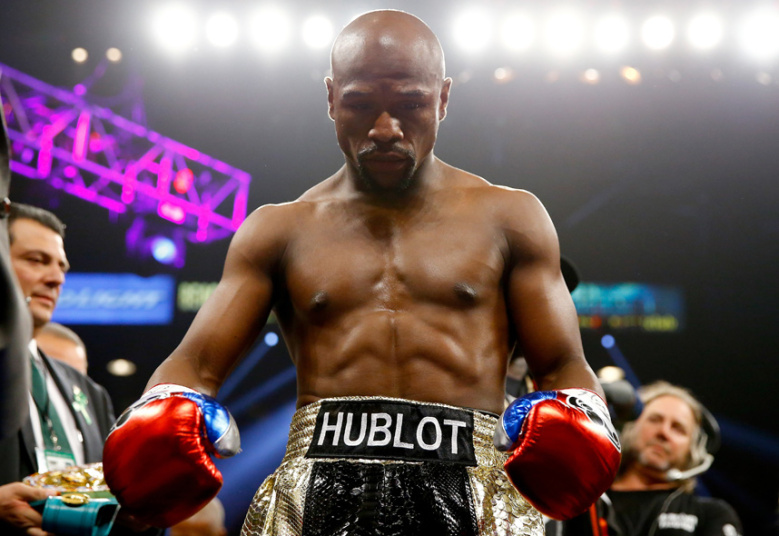 The perfect definition of a technical fighter is Floyd Mayweather, because he is the type of boxer that goes into a fight with a solid game plan, and never deviates from it. Technical fighters are all about out pointing their opponents, and aren’t too flashy. Brawlers are the type of fighters that the crowd loves, because they go into fights trying to knock their opponents out, instead of trying to out box them. This is the most entertaining style of boxing, which is why boxers that fight that way are usually the crowd favorites. How to Bet on Boxing. Like most major sports, it is easy to bet on boxing. The aim of the game is to defeat your opponent either by knocking them out, or by judges’ decision. In an ideal world, most fighters will love to win by knockout, because it takes the decision out of the judges’ hands. Combat sports like boxing are hard to score, but there have been so many times that a boxer clearly won a fight, but the judges ruled in favor of the other boxer, creating a lot of controversy in the process. This is why most fighters feel that if they can end the fight by knockout, they won’t have their fates decided by the judges’ scorecard. The most common boxing odds that you will find are to win, draw, and total number of rounds. The first odds deals with you picking a fighter to win the fight, the second deals with you picking a fight to end in a draw, and the third is you betting on the total number of rounds that a fight will go. The most common way to bet on boxing is by picking the outright winner, this strategy is great for evenly matched fighters, because they both have similar odds, but if it is a fight between a big name boxer and an unknown boxer, the odds can be really high, making the fight not worth betting, because the underdog is likely going to lose, and you won’t make any money betting the favorite. An example of this is Floyd Mayweather vs Chris Algieri, the two fighters have never met, but if they did, the betting line will probably favor Mayweather along the lines of -600 to +400. This means you have to spend $600 to win $100 by betting on Mayweather, which isn’t a good value. In a situation where there is an overwhelming favorite, you are better off looking at other lines in which the fighters and odds are evenly matched. This obviously makes it more difficult to predict the winner, but you can research their past fights, and also use the outcome of the fights they had against other boxers they have both fought. If you don’t want to settle for another fight, there are other ways to bet a fight that has an overwhelming favorite. One of those ways is to bet on rounds. This is very simple, because you aren’t picking the winner of the fight, just the winner of rounds. The lines for this type of bet are usually good, which gives you a chance to make some decent profit on your bet. If you really want to get a big payout when betting on a fight with a big favorite, you can use any of the available props. The most common prop bet used in this situation is the prop that allows you to predict how the fight will end. They usually offer props for decisions, knockouts, draws, and how many rounds the fight will go. Boxing currently has 18 weight classes, there is the Light Minimumweight, Minimumweight, Light flyweight, Flyweight, Super flyweight, Bantamweight, Super bantamweight, Featherweight, Super featherweight, Lightweight, Super lightweight, Welterweight, Super welterweight, Middleweight, Super middleweight, Light heavyweight, Cruiserweight, and Heavyweight. In the 1970s and 1980s, the heavyweights and middleweights dominated the sport, then in the 1990s, heavyweights like Mike Tyson and Evander Holyfield were once again the top draws in boxing. Things have changed in recent years, and now the smaller fighters are the main attraction in boxing. Fighters like Manny Pacquiao, Floyd Mayweather, Miguel Cotto, and Gennady Golovkin, are the biggest attraction in boxing, because there is more competition in the weight classes they compete in, than in any other weight class right now. Since there is so much competition in the lower weight classes, there is always a big fight every month, sometimes even more. Despite the fact that critics have been saying that boxing is dead or dying for most of the last decade, the sport is still thriving, and the Mayweather vs Pacquiao fight proved that all that talk was premature.